Malaysia’s largest and most sought after biennial food, beverage and hotel exhibition is coming back again in full force for the 13th time, from 29 September – 2 October 2015 to provide you with “A Perfect Setting for your Business”. FHM 2015 will be your one stop business centre where the biggest brands, the latest technologies and the best in business networking is offered! Food & Hotel Malaysia 2015 is going to bring you an exhibition that is not only pleasing to the eyes but to the senses too. ALL this is set to take place at the Kuala Lumpur Convention Centre (KLCC). Organised and managed by Malaysia’s leading exhibition organisers, Malaysian Exhibition Services Sdn Bhd, Food & Hotel Malaysia 2015 or FHM2015 as its popularly known, is anticipated to deliver a world-class event featuring local, regional and international exhibitors with unparalleled expertise and comprehensive market knowledge. Don’t forget to save these dates: 29 September – 2 October, 2015and be among the first to book your space as FHM has a tendency of selling its space out fast. 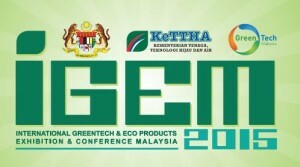 IGEM 2015 (International Greentech & Eco Products Exhibition & Conference Malaysia) will look to provide a platform for the key drivers within the Malaysian Government’s Green Technology mandate. Electric, Power & Renewable Energy Malaysia(EPRE), the 11th International Exhibition of Transmission & Distribution and Electrical Engineering for the EPRE 2015 region will open its doors from 25 – 27 March 2015, at Kuala Lumpur Convention Centre. The trade Exhibition and Conference is an ideal platform for manufacturers, producers and distributors for the electrical & electronic industry to meet, discuss and converge in business networking. “We are very proud and honoured to host this auspicious event and see the Electric, Power and Renewable Energy Malaysia incorporating ASEAN Elenex as the definitive platform for the energy sector in Malaysia. This four-day event hosted by Tenaga Nasional Berhad, has in the past, attracted some 5,000 trade visitors from 42 countries. The theme this year will be focusing on ‘Renewable Energy’ which is also in line with Malaysia’s National Green Agenda” said: Datuk Seri Ir. Azman Mohd, the President/ Chief Executive Officer of Tenaga Nasional Berhad. Organiser: Malaysian Exhibition Services Sdn. Bhd. 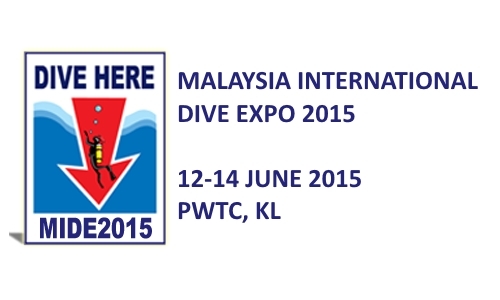 Malaysia International Dive Expo (MIDE) 2015 is the 10th edition of its maiden voyage since 2006. 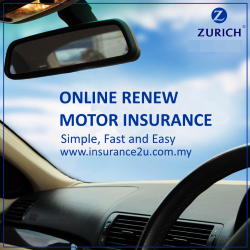 The Expo is scheduled from 12 to 14 June 2015 at Putra World Trade Centre, Kuala Lumpur. Plans are already underway to organize and celebrate MIDE’s 10th Anniversary in style!!! MIDE 2015 will showcase 250 booths and will occupy space of 8,500 sqm. Approximately 15,000 visitors are expected to mingle with exhibitors. More than 2,000 trade delegates are projected to be at this premier dive show in Malaysia, with a sales turnover estimated at more than Ringgit Malaysia 8 Million during the 3 days event. The Expo is designed to build a high-end exhibition platform to expand the dive market and further to network with decision makers in the industry. Therefore it attracts hundreds of Exhibitors to participate and Visitors from more than 50 countries to visit the show yearly. 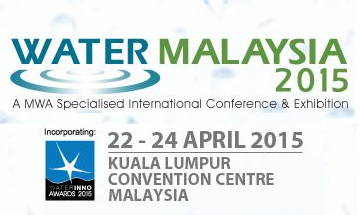 MIDE has grown from strength to strength and the Expo is able to contribute towards a vibrant scuba diving industry in Malaysia with international recognition. So make MIDE 2015 all the reason to showcase your products and obtain the leverage through its media channels that is available. 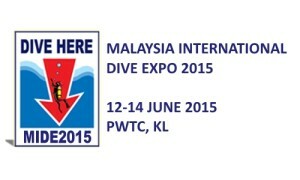 It will also be an apt to combine MIDE2015 with Asia Dive Conference (ADCON) 2015 which will run on its 2nd year, scheduled on 12 June 2015. ADCON is a recreational dive conference initiated to cater for New Divers and Professionals to broaden the scope of recreational scuba diving and to give dive professionalism a further boost. The 15th Asian Oil, Gas & Petrochemical Engineering Exhibition will be held from 2 – 4 June, 2015 at the Kuala Lumpur Convention Centre. The OGA series, The Region’s No 1 Oil and Gas Event is the biggest and most comprehensive event in the Asian region which hosts exhibitors from the Oil and Gas industry worldwide.